The autor is a russian guy, i asked him the code. If you want, can ask him too. It's the same one that is posted here. Was there any progress with the code of CC? In all games i looking, is the only one hasn't fixed yet. (12-23-2015 03:09 PM)NeroHunter Wrote: Was there any progress with the code of CC? In all games i looking, is the only one hasn't fixed yet. Nope. The way this game works it leaves little to no room for improvement in that department. How about Densha de Go! Pocket - Yamatesen Hen will their be a 60 fps patch for it. Are there any advances on Monster Hunter Freedom Unite? I read in another forum these hacks are also working on real PSP. But i tested the gta vice city 60 fps on my PSP 2000, and it did nothing. Anyone found a 60 fps hack for mercury and mercury meltdown? EDIT: 60 FPS cheat tested in these games on a real PSP 2000. -GTA Vice City: Not working, cheat does nothing, the game should run at 60 FPS inside buildings. -Kingdom Hearts - Birth by Sleep: Working oerfect. -Motorstorm: Working, the game is too heavy for the PSP so it rarely reaches 40 FPS. -Chili Con Carnage: Working, animations are two fast. -Obscure: The Aftermath: Working perfect. (12-31-2015 10:36 AM)Mills Wrote: This is awesome. Actually I have a PSP 3000 and I test with it most of the codes that are posted here. GTA games are special because they have slowdowns to a fixed 30 FPS with the codes enabled even on PPSSPP (you must increase the CPU speed to over 333mhz to fix this), so they only run at 60 or 30 FPS and not at intermediate FPS like with most games. It's safe to say that if a game has a 20/30 FPS cap and you try to play it at 60 FPS on a real PSP, it won't be able to maintain this higher framerate with stability, except in some rare cases where "light" games were still capped by the developers (like Sonic Rivals) and run OK at 60 FPS. However, I can confirm that most of the games that are capped at 20 FPS can be run at 30 FPS on a real PSP without big speed problems, a few examples I remember: Metal gear series, Star Wars games, GUN Showdown, the Simpsons game, Marvel Ultimate Alliance (I only managed to make this game run at 60 FPS and not at 30 FPS, which a real PSP can't maintain, yet it runs a lot better using the cheat). *Cheat Status: Menus running at double speed, actual gameplay is perfect. I made some quick comparisons and the game seems to run OK, but as you are the one with experience with them, please report if you have any problem related to the code. If you don't have the EUR release of the game, you can try the tutorial posted by LunaMoo about using the PPSSPP disassembly to unlock the games, as this is how I found this code. The same method should work with the second game too if they are very similar. As an additional option, you can upload for me savestates with the game running on actual gameplay and using a "recent" PPSSPP version with the PSP model option as PSP1000, then I can port the codes to other game releases or to the second game. Hi, there is some progress about 3rd birthday? I have Archer Maclean's Mercury [EUR] and it runs perfect. Animations in menus seem to have just 30 fps so they move at 2x. But the gameplay itself runs at normal speed with no slowdows, on PSP and PPSSPP. It is a shame the programmers locked most games to 30 fps, my PSP is runing Archer Maclean's Mercury at 60fps with default cpu speed 222 Mhz. Can you post the link to LunaMoo's tutorial? If i upload savestates, do I have to look for 60 fps and 30 fps scenes?. Mercury meltdown does not have any 60 fps part, all menus and game are always at 30. Would it be possible to disable that hardware filter many games use by default?. All PSP Lego games use it, or Flow, you can see dots and lines all over the screen in the attached image. In pspsdk the function that activates this ugly filter is: sceGuEnable(GU_DITHER), Would it be possible to look at disassembly in a pspsdk sample with that function, and then look at the same code in another game?. (01-02-2016 11:02 AM)Mills Wrote: Thank you very much!. Yeah, I have always hated that ugly dithering/16 bit like effect in PSP games (especially the old ones), fortunately I can't see it while we play the games with PPSSPP (it's not emulated). It is a REALLY GOOD idea the use of pspsdk and some disassembly of samples to binary patch/disable the effect on retail games. I have never tried to code a PSP homebrew but I will try your idea. About the savestates, doesn't matter at what framerate the game is running when you save them, but they MUST be from ingame/actual gameplay, not menus. *Game compatibility: Crazy Taxi Fare Wars has serious compatibility problems (not related to the cheat) with PPSSPP right now. It includes Crazy Taxi 1 and 2, but they are NOT running the same engine, they are individual games within this Fare Wars "collection" and each game has its own BIN file. - Crazy Taxi 1 is unplayable as it freezes at most loading screens, and if you manage to get ingame, everything seems to be ok but when the race starts all the game graphics disappear. - Crazy Taxi 2 doesn't have the graphic disappear problem but still has random crashes, especially at loading screens. 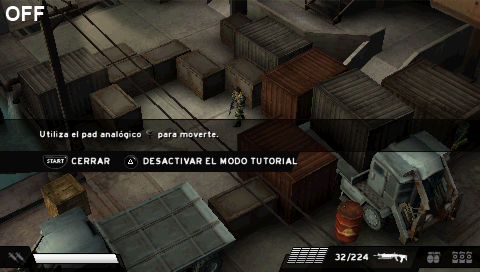 *How to use these cheats in a PSP. - Mills got an idea and said that if you set the 60 FPS codes to _C1 in the cheat.db file, and set cwcheat to activate the cheats by default, both crazy taxi 1 and 2 will run perfect at 60 fps, and without the need to open the plugin menu in the PSP. - Alternatively, you can use NitePR plugin (CW CHEAT alternative for PSP), you just need to convert the format of the codes using THIS PAGE and they will work. But as NitePR doesn't have conditional codes(? ), enable the FPS cheat you want ONLY while playing the specific game for it or the game may freeze. I recommend Mill's idea, it's easier. Snoopy vs the red baron: the game may run faster, or just set automatic frame skipping, so it will work at 60 fps if the hardware can handle it (40-50 on psp). Flow: is running faster, and it will reduce speed as creatures fill the screen on psp. EDIT Crazy taxi fare wars: Accessing cwcheat menu from the games, will freeze the PSP.. BUT If you set the codes to C1 in the cheats.cb file, and set cwcheat to activate cheats by default, both crazy taxi 1 and 2 will run perfect at 60 fps, with very few slowdowns at some specific parts as the arcade or the Dreamcast ports, (if somebody played them). I could not upload a mercury meltdown savestate, it is too big to upload it here. I attached a sample homebrew using the ugly filter, (the filter is not emulated in ppsspp). The lego games have no fps limit, you just have to set cpu to 333. Can you edit the first post of this thread and add LunaMoo's tutorial (THIS ONE) and the one I posted (THIS ONE)? This way it would be easy to find them for everyone. Check my reply above for the tutorials for unlocking framerate. I've been trying your idea about the dither effect, but I will post some details that are very important. I recompiled the same sample you uploaded with the sceGuEnable(GU_DITHER) and another one without the line. It was easy to identify what changes were needed to enable/disable the effect on the compiled ELF from the sample. I edited the eboot and tested it and yeah, I managed to disable the effect without recompiling. Puzzle Bobble: the only PSP game I know that has debug symbols so it would be an easy start. Again, I managed to disable the effect. Check the screenshots, taken from a REAL PSP. Killzone Liberation DEMO: Sucess again, check the screenshots. But look closely, even with the dither effect OFF, the game looks bad, that's because of the 16 bit color depth. LEGO Batman: One of the worst offenders regarding the use of this dither effect. 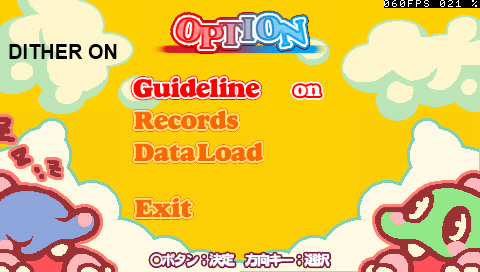 But according to some binary comparisons, the sceGuEnable function is not used on this game. I still edited some hex patterns but I could not disable the effect. Need For Speed Most Wanted: No luck. According to some user from a different forum, the dither effect on PSP "It is done to save VRAM so that more textures can be loaded and helps to keep higher fram rate. It is same trick as used in PS1 games thats why you can see it on those games." Another user says: "Blame it on the PSP's limited memory bandwidth, which forced a lot of games to run in 16-bit color or less." Also, READ HERE about 16/32 bit color from PPSSPP devs. The thing is, as I see it, the dither effect is helpful when the games are running with a 16 bit color depth so this lack of colors is harder to see for the users. So, what we REALLY need to do is force the games to run with 32 bit color on a REAL PSP, identifying the code that set this. If you read the link from PPSSPP devs, you can see that Kingdom hearts has an option to choose 16 or 32 bit color and this could be a way to understand what function does this, and port it to other games. I have Kingdom Hearts and this is what I will try now. Of course I am not an expert on any of these topics and I hope these things I'm posting are not misinformation. I will edit this post later if it's needed. - Is there any different way to enable the GU_DITHER while coding a PSP homebrew/game? maybe that's why I could disable it on some games and not others. - Can someone mention other retail PSP games (besides Puzzle Bobble) that have debug symbols/labels? According to some forum, there are games from NAMCO that have debug symbols, but I don't know which ones. is there 60fps code for star wars force unleashed? Thanks for the LunaMoo links , i'll try to unlock more games. I don't know any other way to activate the dither. I helped coding a lua interpreter (onelua) and i discovered a few things about PSP and the GU_DITHER effect. The filter itself does not save any VRAM, it is the screen mode what saves VRAM. Even in 8888 you will se a lot of lines and points if there is a transparent texture on top of other objects. The 16 bit mode will free a lot of VRAM and make the game run faster if you are using the TV out mode (720x480). In normal mode (480x272), i'm sure most games will run at 30-60 fps as usual. u32 Screen_Mode = GU_PSM_4444; // 8888(32bit), 5650-5551(16bit), 4444(12bit). I was thinking... With this lines you define the screen size, it might be possible to force other screen modes like TV_OUT, just an idea. Well, back to the 60 fps unlock, i'm going to read the tutorial and try to unlock mercury meltdown . EDIT: ups I can't use Kabuto_Kun method with mercury meltdown, it is always running at 30 FPS.